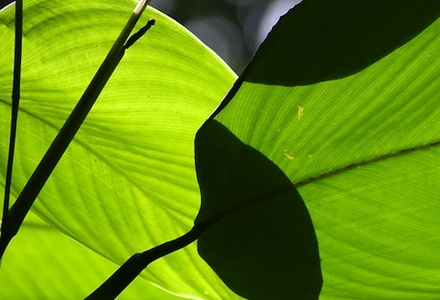 Your blog should always put your evergreen content front and center. I’m not a big fan of standard category pages as an effective method of navigation. Whilst a reverse chronological post order works well for your blog’s home page (as readers will typically want to see your most recent content first), I do not believe that the same can be said for your category pages. If a reader wants to read more of your content, they should be offered something a little more refined than simply a list of posts that were assigned to a category. What if your most recent post in that category wasn’t particularly stellar? Far better to promote your best content, and leave the bargain basement material where it belongs. With that in mind, I have always been an exponent of “resource” pages, which are basically category pages v2.0. You provide a little introductory blurb, tell the reader what they can expect, and then provide them with a list of only the best related content. 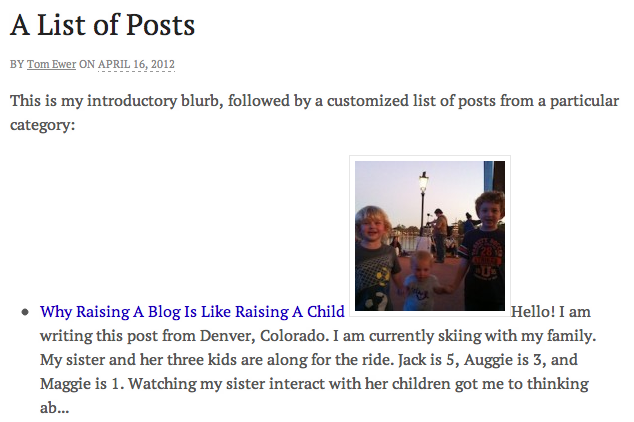 I have such pages on my own blog, but up to now, I had to manually enter my select list of posts. 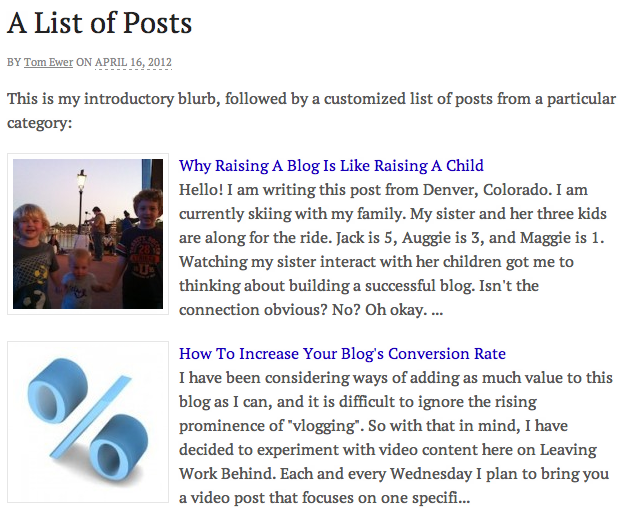 That was until I found List Category Posts – a highly customizable plugin for your WordPress blog. Hey presto! There’s your resource page. And as long as you remember to tag future content appropriately, it will update automatically. It aint pretty, is it? I was surprised that the default display for the typical title + thumbnail + excerpt display was so jumbled. As you can see, I set the number of posts to display as 5, I increased the excerpt size, I defined a class for the thumbnail, and I told the plugin to refer to my custom template. Going through this process comes across a little convoluted when written down (and it is a little bit), but it only took me a few minutes. The plugin could certainly make customizing the formatting of the posts easier, but if I can do it, most people reading this post probably can! There are of course a huge number of useful applications for the List Category Posts plugin – I have just touched upon one in particular. You could use the widget to create a list of your favorite posts, or with a bit of PHP jiggery pokery you could create your own related posts section at the bottom of your posts. I gave List Category Posts a four star rating in the WordPress Plugins Repository as there is still more that it could do, but what it does, it does well.